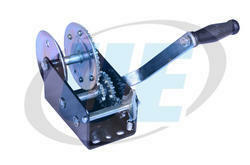 Providing you the best range of hand winches and manual crab winches with effective & timely delivery. In order to attain the maximum satisfaction of our esteemed clients, we are engaged in manufacturing, distributing and supplying the finest quality Hand Winches. Tough enough to tackle anything you will, with a look that is advanced, capable and strong. The offered winches are design masterpiece that defines the next generation of winches from Warn Industries. Features include a durable satin-black cast-aluminum housing, muck-busting sealing, and a convertible control pack that lets you mount the winch the way you want. Add a powerful new motor, hyper-durable finish, efficient new gear train and, well, you’ve got a workhorse unit you can trust for years to come. Developed as per best for heavy-duty applications. 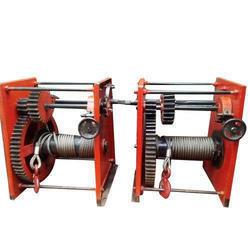 These winches with right hand operation are manufactured and also the same can supplied with other side operation also as per requirement.